Can My Husband Get a Home Mortgage in His Name Alone? Although couples frequently put both names on a home loan, if your husband has bad credit or inconsistent pay, he could actually harm your chances of getting a home loan. If you choose to apply by yourself, your application will be based solely on your income and credit, but getting portions of your husband's income considered in your application can be done in a few ways. 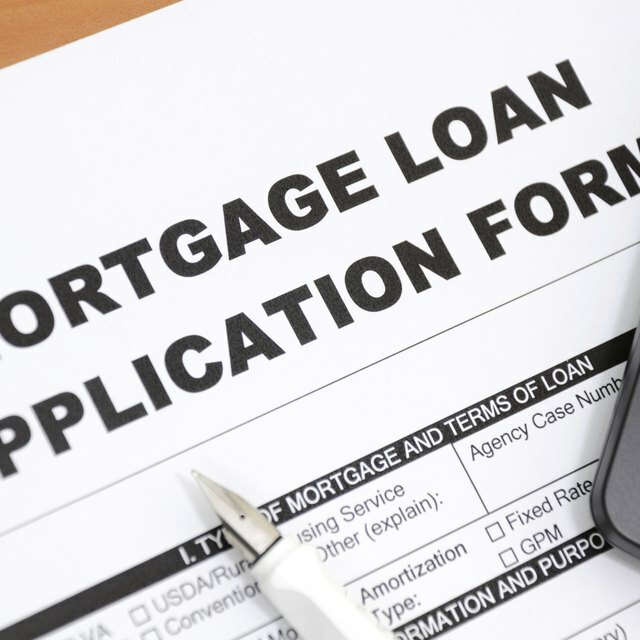 Your mortgage application is based on a number of factors, including your credit score, previous mortgage history, total income and the amount of your income that goes to servicing debt. When couples apply together, the information from both parties is considered part of a total package, but the amount of income is often increased if both spouses work full time. When you apply by yourself, you'll have the benefit of using only your credit and financial history, but your income will be reduced. This might decrease the amount of loan for which you qualify. The mortgage company will not consider your husband's income if you apply for a loan by yourself. If you and your husband work in related fields, or if either of you owns a business, you might be able to get some of his income added to yours by having him pay you for services. For example, if your husband owns a small business and you are a writer, you can have him pay you for writing services and get a 1099 from him, then claim this income on your tax returns. This can increase your income by incorporating some of his money. The Internal Revenue Service generally allows people to give up to $13,000 in gifts without paying taxes on it. Your husband can give you money as a gift, and if he gives you more than $13,000, you have to claim the amount on your tax returns; this can increase your income by incorporating his, but your husband will have to pay taxes on the gift. Can You Add a Co-Borrower to Refinance an Auto Loan? Will I Lose My SSI Income After I Get Married? Just because your husband is not on the mortgage doesn't mean he can't contribute to the down payment. Consider having your husband save for the down payment so you can report some of your husband's income -- in the form of down payment savings in a shared account -- when you're asked about the assets you have available. Many mortgage companies also check your bank accounts or want to know about investments and similar assets. If you and your husband have joint accounts, these assets may be considered. Bankrate: Is Filing Taxes Jointly a Good Idea?